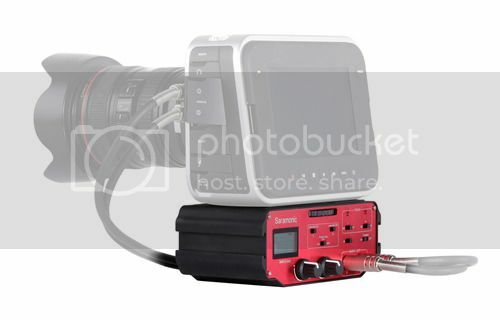 A wide-variety of professional audio devices like XLR mics, wireless mics, boom mics and mixing boards can be connected to the camera via this adapter. 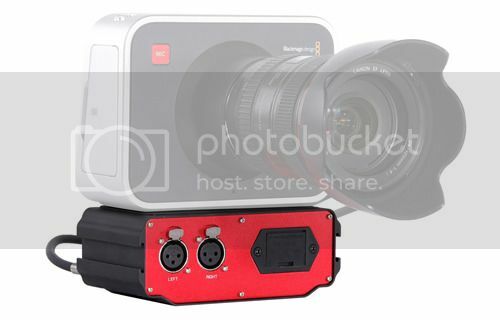 Audio from your microphones will be passed to your camera by BMCC-A01 with or without the use of a 9V battery. Advanced functions such as level meter, 12V/48V phantom power and LED indicator are available by using a battery. Balanced Left and Right XLR inputs. Selects LINE when camera is set to LINE input. Selects MIC when camera is set to MIC input. Slects PH when any channel need a phantom power. Selects phantom voltage to 12V, 48V or OFF. Open or close Warning Red LED light. Indicates the sound level in dB for each channel. 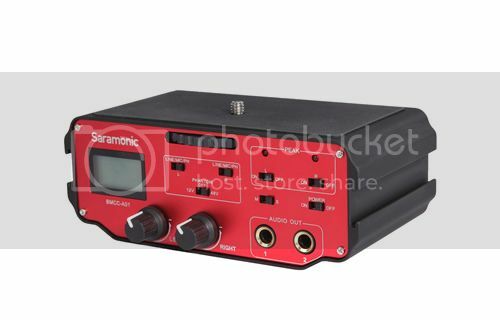 Select Mono or Stereo output mode.